Make sure you’re ready for the party that is the Brazilian Pavilion! I was treated to the vegetarian Chef’s choice sample platter. 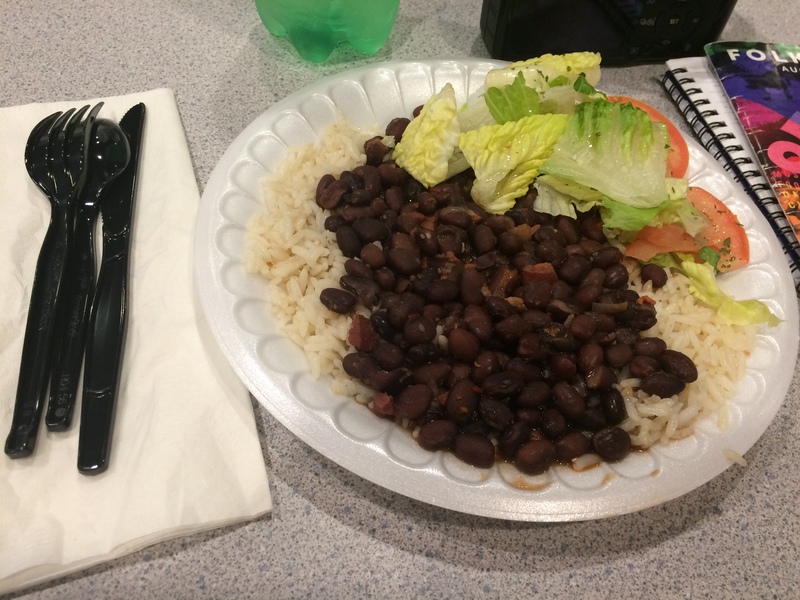 This turned out to be a very filling and absolutely delicious plate of hearty Brazilian staples – beans, rice and veggies. It was so full of protein that I didn’t actually need to have any other meals for a while! I will also mention that it took me the entire show to finish the plate. (lol) Thank you to the Brazilian Pavilion for your generosity! Wanting to chase it down? Pair it with some Cachaca cocktails or a Brazilian beer. This show knew how to get the party started! We started off with two performers on stilts making their way over the tables, playing instruments. We were then treated to the very smooth vocals of a singer and the grace of a lovely dancer. She also invited audience members onto the dance floor in front of the stage of some guided then freestyle dancing for a few songs. 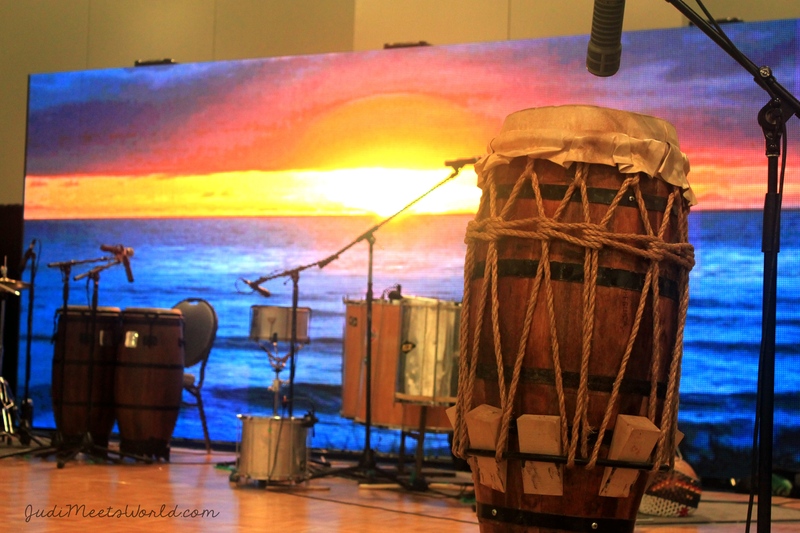 We got to see capoeira moves, and enjoy many of the Brazilian beats I learned about in their cultural display! I loved how involved this pavilion was in getting people out of their seats and onto their feet to dance the night away! 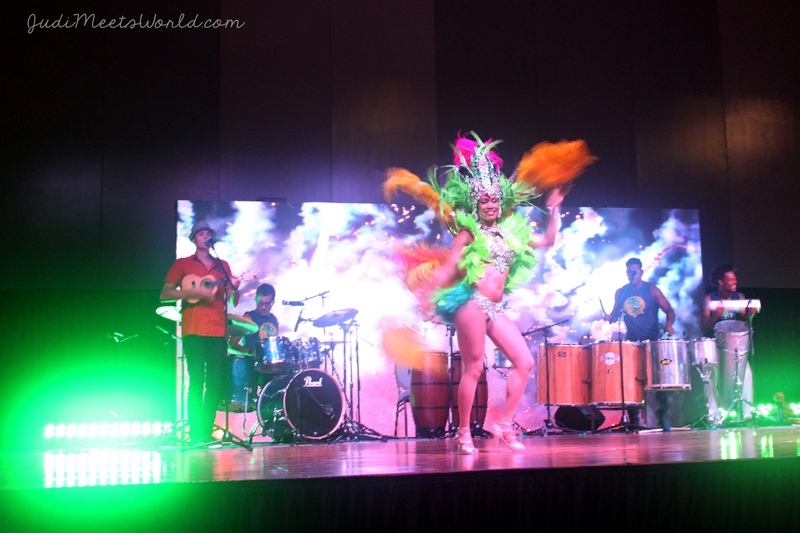 Congratulations again to the performers, organizers and volunteers of the Brazilian Pavilion!